Fig. 2.6 Mssrs. 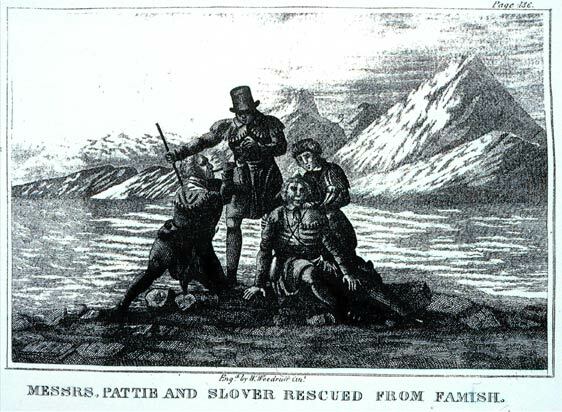 Pattie and Slover Rescued from Famish. William Woodruff. Engraving. 3 x 4&9/16 in (7.62 x 11.59 cm). James O. Pattie, The Personal Narrative of James O. Pattie, of Kentucky. . . (Cincinnati: printed and published by John H. Wood, 1831), facing p. 165. The Public Library of Cincinnati and Hamilton County.